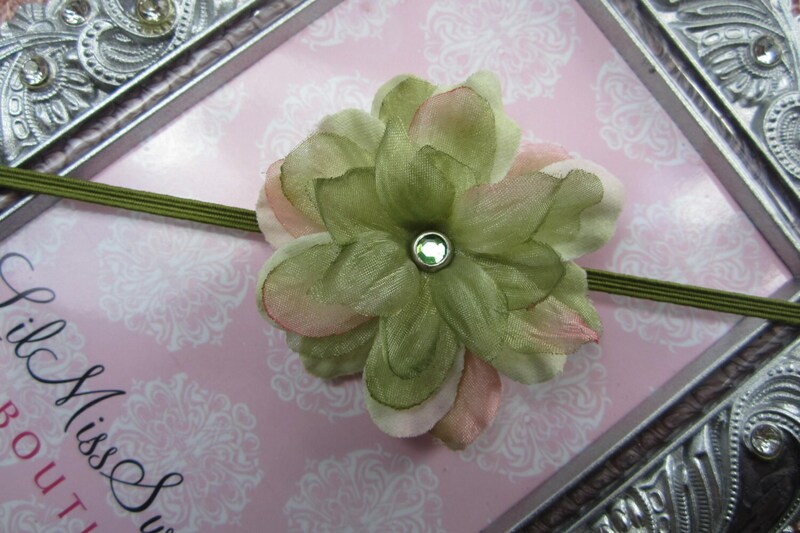 Shades of Green and Blush Pink headband for newborn photo shoots or everyday wear. 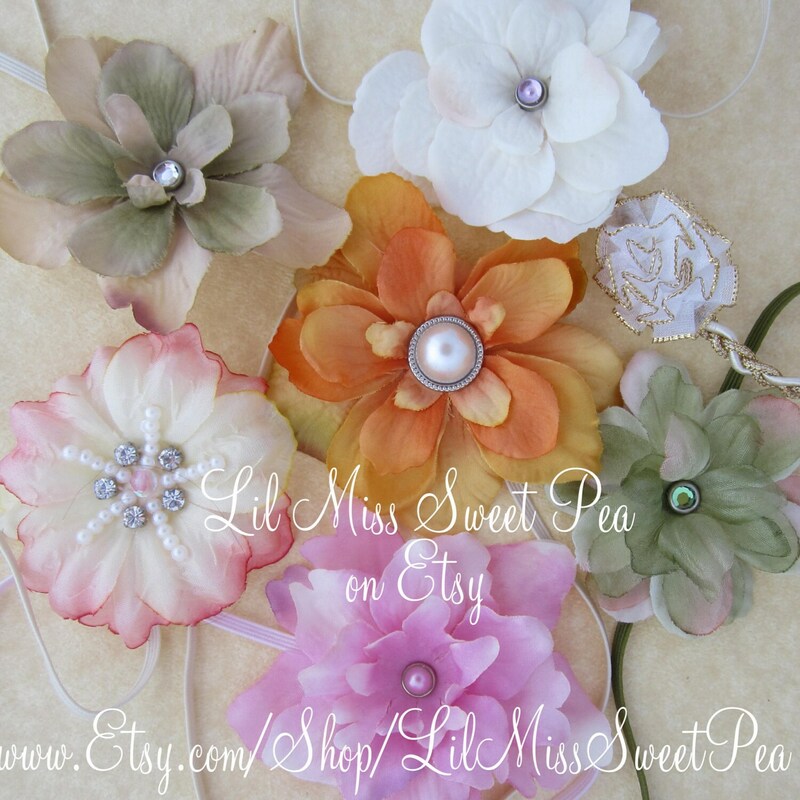 These beautiful flowers are so dainty and pretty. Layers include sheer organza and they have just enough sparkle! !